Are you looking for fine art canvas prints to give your office or home interior’s an elegant look? Then Superchrome is ready to serve you. Superchrome is a UK based digital printing company, providing a full range of commercial printing services to meet all our clients requirements within the nation and abroad. We specialize in the creation of canvas art prints. You will never feel disappointed with our top-notch services. Our canvas prints at Superchrome are excellent for many uses and you can give as a special gift for birthdays, Christmas, anniversaries, baptisms, mother’s day, father’s day, valentines day and weddings. Keeping your requirements in forefront, we will create a full consistent, highly personable art canvas prints. Utilizing the latest and most modern technology, we can give vibrant colors to your images. Our amazing printing techniques can transform your images or photos or paintings into art canvas prints. At Superchrome, we have an in-house team of professionals who has a vast range of complimentary skills in all fields of digital artwork design and print. To achieve spectacular results, we use the high quality printing materials including canvas, photographic paper, fine art paper and fine linen textile, fast dry glossy canvas, coated cotton canvas and fast dry matte canvas. To give a fresh look and feel with magnificent pieces of stretched art canvas, we at Superchrome, utilize the museum archival ink technology. You can order on high quality art canvas prints in a range of sizes and options. 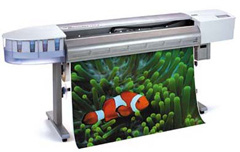 Our art canvas prints are well suited for both indoor and outdoor graphic and display applications. Superchrome also offers pop-art design services at affordable prices. We are always interested in your comments and suggestions that help to improve our services. If you are interested in our services, please e-mail us with the item name and size of canvas and we will be able to let you know when it will be available. If you have any questions regarding our services and capabilities, please contact our representative for an online chat. If you would like to know more about art print and canvas, any of the projects shown or if you want to discuss any project you have coming up then contact us 020 7237 9333 or fax 020 7237 9444 or email sales@superchrome.co.uk. Our experienced personnel would be able to guide you appropriately.